Recently I was introduced to Bright Future International (BFI), a charitable organization that helps underprivileged children achieve a better future by infusing them with compassion, strong self esteem and hope. 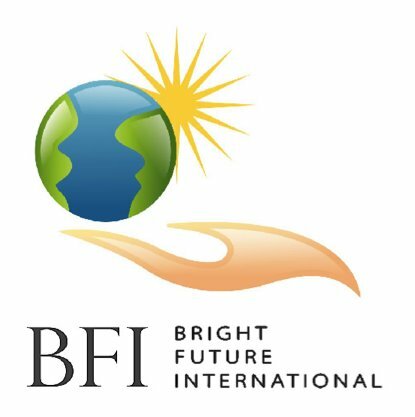 BFI has recently launched Bright Future for Children, a worldwide initiative to raise money and awareness for less fortunate children across the globe. This initiative will establish arts and educational enrichment programs through partnerships with local and international organizations in Burundi, Russia, and Kenya. They make it really easy to donate – on the BFI Facebook page, you will be able to make a charitable donation as well as read touching stories about these children and the profound difference being made in their lives. In fact, when you “Like” Bright Future International’s Facebook page, they donate one dollar to help children in one of these countries. It’s that easy. Just a click of one little button, and a dollar is automatically donated. It doesn’t get easier than that. Well worth the click and read. Times are tough all over – but for some people, especially kids in other parts of the world, ‘tough’ is an understatement. Like Ginet, who was just 14 years old when she was forced into fleeing Ethiopia, alone and pregnant. Ginet’s story is similar to so many girls in Eastern Africa, who find themselves without support networks and extremely vulnerable to exploitation and abuse after losing their families and having to flee from conflict across the borders into Kenya. In fact, nearly 60% of the girls who enter Heshima Kenya’s programs have been raped, sexually assaulted, and forced into marriage. Or how about Immaculate – living in Burundi, Immaculate lost all of her siblings to AIDS and her father to tuberculosis by the age of 17. As the only survivor in her family, she is the sole provider for her 10 nieces and nephews. They live in a small house with no windows and a dirt floor, which contributes to the spread of Tuberculosis among four children in the household. A visit to Burundi makes it clear there is not only an excess of untreated HIV and AIDS, but severe malnutrition as well, resulting in more children being orphaned or dying. When I think of any child having to suffer, it just breaks my heart. Thankfully there are organizations that help – Bright Future International is one such group. On www.BrightFutureforChildren.com, BFI is making a public plea for donations, which will go toward social and educational programs to help needy children supported by BFI’s partner organizations: CHABHA (Children Affected by HIV/AIDS) in Burundi, BFI Children’s Studio in Russia, and Heshima Kenya. The microsite features personal accounts of how local children were touched by each of these three honorable organizations, and visitors will be able to make a donation to the organization of their choice. Any person who makes a donation in the amount of $15 or more will receive a free DVD of the hit music video “A Merry Christmas,” featuring Dionne Warwick, Stevie Wonder, Larry King, Jordin Sparks, Jermaine Jackson and other stars. Put together by BFI, the goal of the music video was to promote community and peace by uniting people around the world regardless of race, religion and social status. So what are you waiting for? Click over to BFI’s Facebook page and “Like” them so you can do your part and have a dollar donated on your behalf. We can make a difference, one dollar at a time – help a child take the steps to a safe and healthy new life. Note: I participated in a campaign on behalf of Mom Central for Bright Future International. 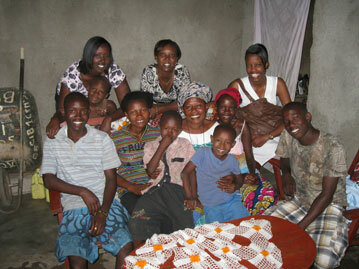 A small donation to Bright Future International was made in my name from Mom Central as a thank-you for participating. All opinions are my own, not influenced by any outside sources. See my disclosure policy here. This entry was posted in Charities and tagged better future, bfi, Bright Future International, charitable donation, charitable organization, international organizations, Review, support networks, touching stories, underprivileged children, worldwide initiative by Stacy (the Random Cool Chick). Bookmark the permalink.